All food and monetary donations raised stay local to support Food Banks Canada’s affiliate food banks and agencies from coast-to-coast. MISSISSAUGA, ON, Feb. 14, 2019 – Everyone faces choices every day, but no family should have to choose between food and shelter or other necessities. Today, Walmart Canada launched its third annual Fight Hunger. Spark Change. national fundraising campaign calling on Canadians to join the fight against hunger. Running from February 14 – March 13, Walmart is setting out to raise enough funds to secure 13 million meals for Canadian families in need through Food Banks Canada and its network of more than 600 affiliated food banks. Together with customers, associates and vendors, the Fight Hunger. Spark Change, campaign has provided 20 million meals over the past two years. Purchase participating products: For every purchase (in-store and online at walmart.ca) of select products, participating brands will donate a portion of the proceeds to Food Banks Canada, up to a maximum of $1.35 million. 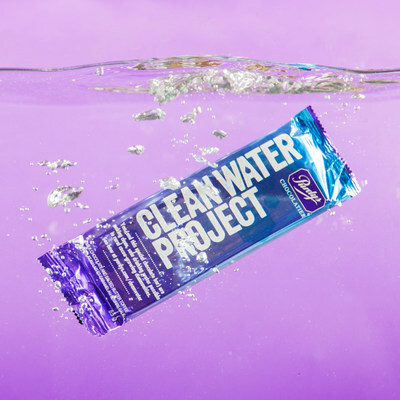 Partners include: Canada Bread, Catelli Foods, ConAgra, Dare, Ferrero Canada, Hershey, Lassonde, Maple Leaf Foods, French’s, Mondelez, Nestle Waters, Old Dutch Foods, Smuckers, Starbucks and Unilever. Donate at the register: Customers will also be offered the opportunity to round up their purchase at the register to the nearest dollar. Funds donated will be matched by Walmart Canada, up to a maximum of $820,000. All funds stay local – donations made in store by customers and matching support from Walmart Canada will support local food banks. Donate online at walmart.ca: Customers can add $1, $2 or $5 donation to their online shopping cart. Drop off food donations: Walmart stores will be accepting non-perishable food donations for local food banks. A donation bin can be found at the front of each store. Walmart is also donating $100,000 to Food Banks Canada’s retail food program. Walmart stores are paired with local community food banks to provide safe, quality food, including fresh, frozen, and non-perishable foods, and consumer goods. In addition, the company is also donating $80,000 to support Food Banks Canada’s National Food Sharing System, which helps to move approximately 10 million pounds of food annually. Today’s Fight Hunger. Spark Change. campaign announcement builds on Walmart’s continued effort to providing support for hunger relief in Canada. Walmart has a global commitment to providing meals to those in need. Walmart and the Walmart Foundation are working to address food waste and food insecurity by supporting the work of the food bank network across Canada. Since 2011, Walmart stores have donated more than 16 million pounds of food and $10.5 million to food banks across the country. Walmart stores pair with a local food bank and ensure good food is donated to those who need it most. Walmart Canada and the Walmart Foundation also support the efforts of the food bank network to help food banks keep food fresh and safe during transport and distribute it to those in the community who need it most. Ina addition, the Walmart Foundation has invested nearly $6 million to build capacity among Food Banks Canada affiliate food banks, meaning more trucks, more refrigerators and more people to get food from all sources to those who need it most. These grants from the Walmart Foundation are the first step in a multi-year, multi-million-dollar commitment to strengthen food security in Canada. Food Banks Canada supports a unique network of over 3,500 food-related organizations in every province and territory that assists more than 860,000 Canadians each month. Together this network shares over 200 million pounds of essential safe quality food annually, provides social programs that help to foster self-sufficiency, and advocates for policy change that will help create a Canada where no one goes hungry. Visit foodbankscanada.ca for more information. PRNewswire/ – Canada Goose today announced the launch of its new social entrepreneurship project for Canada’s North — Project Atigi. The first of its kind in Canada, Project Atigi was born in the north, created by the north and for the north. Designed to celebrate Inuit craftsmanship – the original parka makers – the project features the global release of a one-of-a-kind collection hand-made by expert seamstresses. It was another Bell Let’s Talk Day for the record books as people throughout Canada and beyond talked, texted and engaged across social media in the mental health conversation –145,442,699 messages of support that increased total Bell Let’s Talk Day interactions since our first annual event in 2011 to 1,013,915,275. With Bell donating 5 cents to Canadian mental health programs for each interaction, funding grew by another $7,272,134.95. Total Bell Let’s Talk funding now stands at $100,695,763.75, which includes Bell’s original $50 million donation to launch the initiative. Between midnight in Newfoundland and Labrador and midnight in British Columbia, there were 145,442,699 eligible Bell Let’s Talk interactions, an increase of more than 5% over last year. Eligible interactions include Bell mobile calls, long-distance calls and texts, as well as tweets, retweets, filters, frames and video views on Twitter, Facebook, Instagram and Snapchat, all at no charge to participants beyond what they would normally pay their provider for phone or online access. Social media engagement on Bell Let’s Talk Day was up significantly to 27,477,153 interactions, an increase of 13% over 2018. Viewings of the official Bell Let’s Talk video on social media were also up approximately 50% compared to Bell Let’s Talk Day last year. This year’s English-language video featured Alessia Cara, Anderson Cooper, Ellen DeGeneres, Lisa LaFlamme and Seth Rogen with Bell Let’s Talk team members Mike Babcock, Manon Charbonneau, Denni Clement, David K. Henry, Chris Johnson, Queena Lau, Howie Mandel and Souad Saidj. The French-language video featured Adib Alkhalidey, Luc Bellemare, Sophie Cadieux, Guy Carbonneau, Véronique Cloutier, Gilbert Delorme, Jonathan Drouin, François Gagnon, Julien Lacroix, Marie-Mai, Herby Moreau and Alexandre Taillefer with the Bell Let’s Talk team of Étienne Boulay, Marie-Soleil Dion, Patricia Lemoine, Michel Mpambara and Stefie Shock. Bell Let’s Talk spokespeople, ambassadors and Friends joined Canadians across the country yesterday, increasing awareness and support for Canadian mental health by hosting events, visiting students and young people, performing concerts and talking to media. We offer heartfelt thanks to Bell Let’s Talk spokespeople Michael Landsberg, Howie Mandel, Mary Walsh, Stefie Shock, Michel Mpambara, Marie-Soleil Dion and Étienne Boulay, and community ambassadors pro golfer Andrew Jensen, comedian Kevin Breel, CFL veteran Shea Emry, Toronto Maple Leafs head coach Mike Babcock, singer-songwriter Séan McCann, veteran Bruno Guévremont, actress Jessica Holmes, musician Florence K and actress Veronique Bannon, for sharing their personal stories and encouraging all Canadians to get engaged and talk about mental health. The Bell Let’s Talk Community Fund, which supports local mental health programs throughout Canada, is open for applications. Registered charities are invited to apply for a grant up to $25,000. Since 2011, the Bell Let’s Talk Community Fund has supported more than 500 local and grassroots mental health organizations in every region of the country. In Their Own Words: A Bell Let’s Talk Day Special, hosted by CTV Your Morning’s Anne-Marie Mediwake and featuring stories from Canadians living with mental illness, aired in prime time last night on CTV and CTV 2 and is now available on CTV.ca, the CTV app and YouTube, as well as on Crave, where viewers can also watch previous Bell Let’s Talk Day specials. Olympic medalist Sylvie Fréchette and comedian Félix-Antoine Tremblay hosted Quand la maladie mentale s’invite, a documentary about Québec making a difference in mental health. Aired last night on RDS, Canal Vie, Z and Canal D, the special is now available to stream on VRAK.tv, RDS.ca, Canal Vie, Z and Canal D.
The Bell Let’s Talk mental health initiative is based on 4 action pillars: anti-stigma, care and access, research, and workplace leadership. Bell Let’s Talk was launched in September 2010 as a 5-year program with a $50 million initial donation from Bell and a commitment to grow its funding based on the engagement of Canadians on Bell Let’s Talk Day. In 2015, Bell announced it would extend the Bell Let’s Talk initiative a further 5 years and commit to at least $100 million in funding for Canadian mental health. With a new grand total of $100,695,763.75 following Bell Let’s Talk Day 2019, we’ve already surpassed our objective! To learn more about Bell Let’s Talk, please visit Bell.ca/LetsTalk. General Mills drinkable yogurt brand Yop is telling the stories of the next generation in its latest national campaign. The “For the Better” campaign, which includes a series of four co-branded videos in French and English, was created by agency Cossette and Vice Media’s Montreal office. The two-part campaign includes an integrated brand content piece called “Game-Changers,” which shows a close relationship between 11-year-old Josiah and his father, as well as a mini-documentary series which highlights youth like Evelyn Sifton, a 23-year-old transgender cyclist and LGBTQ activist, Sarah Fournier, a 22-year-old special education teacher and boxer, and Jerimy Rivera, a 24-year-old Montreal-based ballet dancer. Each year, Jays Care Foundation, the charitable arm of the Toronto Blue Jays, helps approximately 65,000 children within marginalized communities across the country through baseball programming. However, Jays Care supporters aren’t necessarily aware of the charity’s national scope, says Ben Sibley, digital marketing specialist at Jays Care Foundation. He says that past marketing efforts have been tied more directly to its individual programs, such as Rookie League, Challenger Baseball, Home Run Scholars, Girls At Bat and James Bay Girls At Bat. A new campaign uses techy teddy bears to bridge “emotional distance” between loved ones. A lot of brands have been focusing on storytelling in their marketing, but General Mills is taking that idea in a new direction for this year’s “Bring Back The Bees” campaign for Honey Nut Cheerios. Paulette Bourgeois, a Canadian children’s author best known for creating the Franklin the Turtle book series, worked with General Mills to create Bella and Jack Bring Back The Bees. The illustrated story tells the story of two children who learn about the world’s declining bee population and the things they can do to help – the mission at the core of the “Bring Back The Bees” campaign for the last three years. General Mills will be distributing 100,000 copies of the book for free through Indigo, Chapters and Coles bookstores.